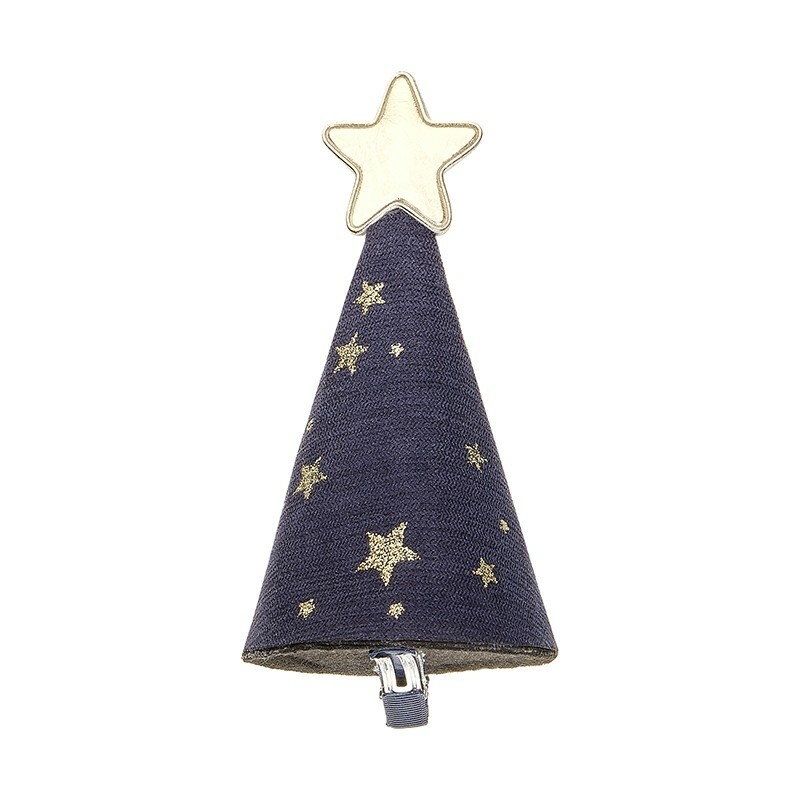 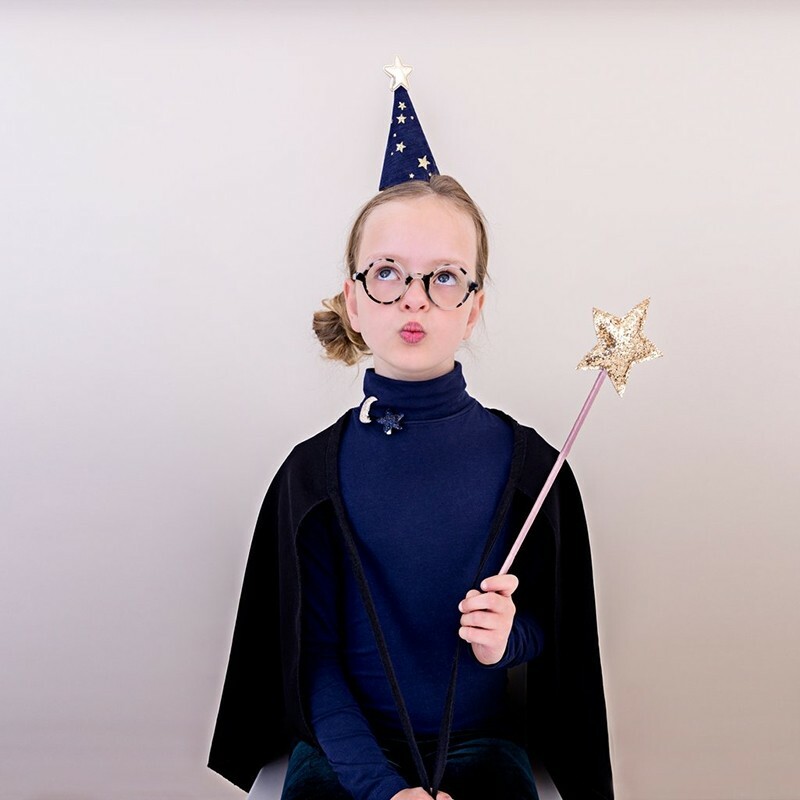 Be a wizard, this adorable clip-on wizard hat is the perfect treat! 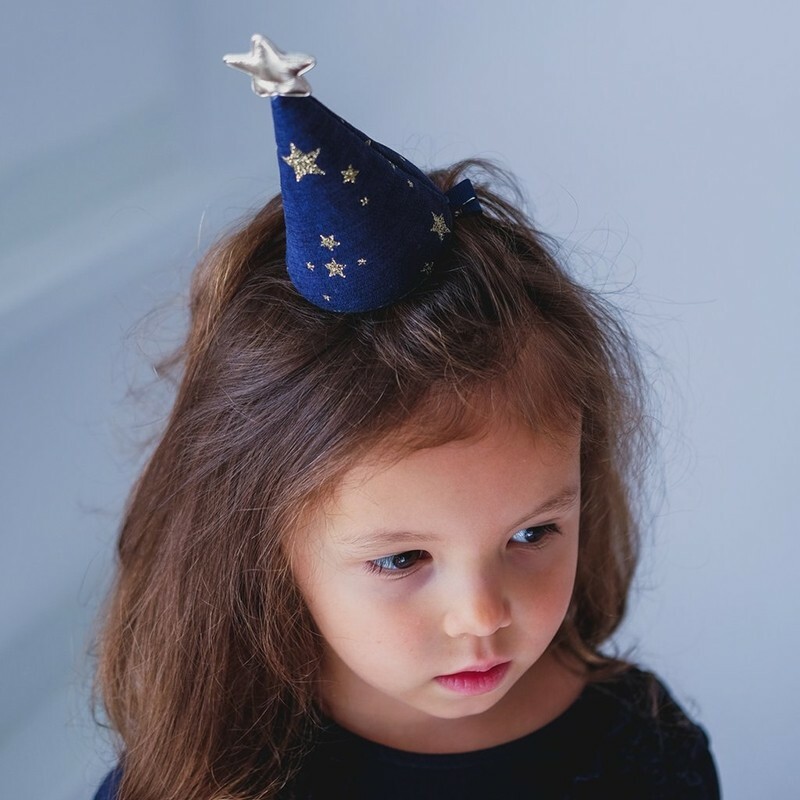 The little hat is covered in magical navy blue fabirc with gold glitter stars and a double sided gold star at the very top. 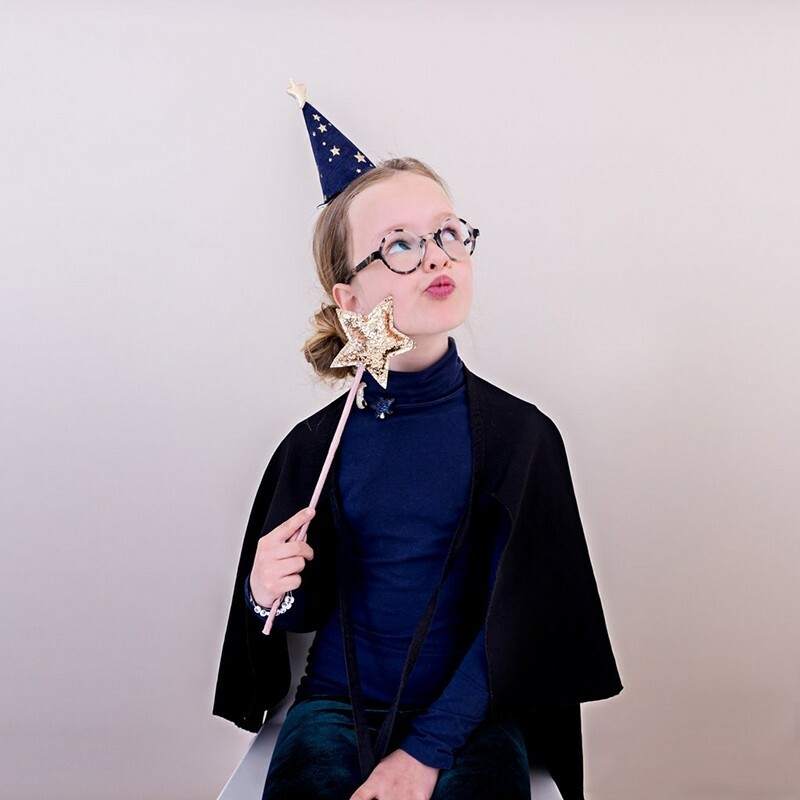 Match it with one of our gold wands for a truly magical gift!